Craig has always been known for his hard work ethic and his positive attitude. He has traveled the globe competing as an Eligible skater as well as a Professional skater. Craig loves teaching aspiring Olympic hopeful skaters just as much as he loves teaching a beginner. He currently resides in Hong Kong during the school year teaching and performing for Swire Properties, Mapletree Investments and also for the Hong Kong Skating Union. 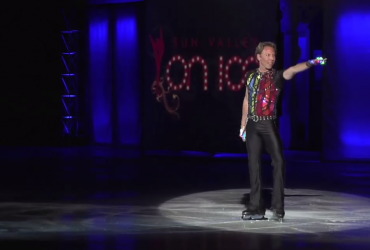 During the summers he graces the ice in the Sun Valley Ice Show while also teaching in the world famous Skating School. Craig is also the President of Proskaters- an organization for performing professional skaters and producers. In between all of his jobs around the world, he also finds time to teach skating Seminars. He has taught in Saint Petersburg, Russia, Singapore, Hong Kong, Sun Valley, Hawaii, Thailand, California, Seattle and Utah, just to name a few. 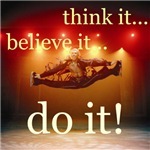 If you are looking for a talented performer or teacher, Craig is your man. Craig Heath is one of the most professional principals that I have worked with. He brings a happy and positive attitude to work, never making any problems or complaints and always ready to help everybody. His performances are always the same high standard. I have never seen him lazy or saving energy-even if he has to skate with an injured. If all principals could be like Craig Heath, the life of Performance Supervisor would be very easy. Craig Heath is an idol to many and a mentor to all. His skills and knowledge of the sport do not end with his own performance. Craig leads our edge class every week – his teachings are filled with motivation and encouragement. To work with Craig is like working with a friend – his honesty, his patience, his understanding, bring a smile to my face each day in the workplace. Craig continues to grow with his sport because of his endless determination and constant effort. As performance director on Toy Story for the last two years, I have had the privilege of working with Craig Heath. When he is performing, one cannot help but watch every moment. His smile, his energy and characterization are incomparable to anyone I have ever worked with. Craig is a high achiever that never settles for anything but his best. Even in the toughest times, the hardest schedule, Craig will challenge his performance by adding more difficulty to his solos. Do you know anyone that has landed thirteen consecutive double axels in one solo after having performed nine shows in three days? Craig Heath, the “ironman” as I call him, has achieved this feat. Craig Heath never gives less than 10,000%. If you look up the definition of a ‘true professional’ it will say ‘Craig Heath’ . He is an inspiration and role model to those who are fortunate enough to work with him. Craig is one of the top Professional Skaters in the world today. He has attained what very few in any field ever do…mastery of his profession. His fantastic skating talents, combined with a unique and entertaining style make him a joy to watch and an inspiration to all. He is a pleasure to work with and he has one of the best work ethics I’ve ever seen. 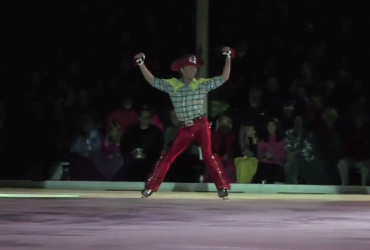 To me, Craig defines what it means to be a top-level professional ice skater.